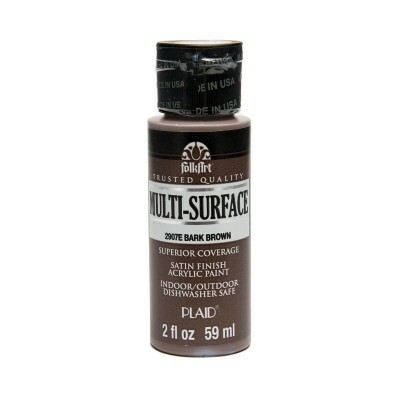 If you have dozens of paintable projects and are unsure which paint to use, FolkArt Multi-Surface Satin Acrylic Paint Color is the stand-out solution. 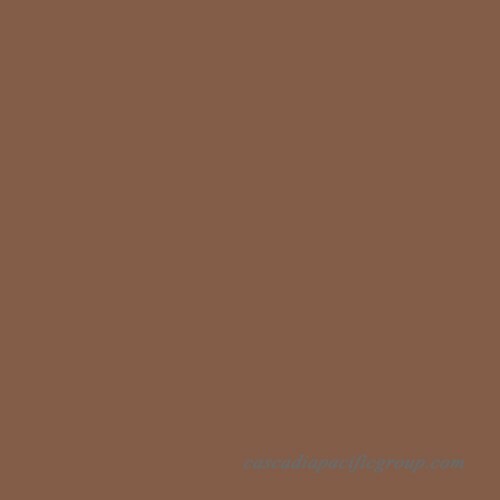 This ultra-versatile paint comes in a decorator palette of 2-ounce colors featuring a warm, satin finish suitable for decorative painting, home décor projects and stenciling. FolkArt Multi-Surface can beautify anything paintable—tin, terra cotta, paper mache, canvas, wood, plaster, rigid plastic, fabric concrete, glass and ceramics—indoors or outdoors. It's even top-shelf dishwasher safe when cured. 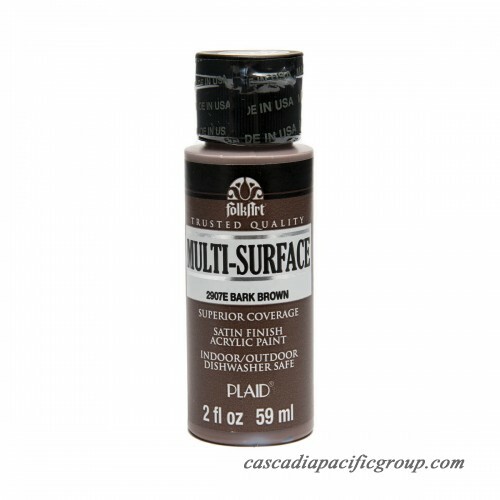 Premium all-purpose, artist-quality Multi-Surface paint provides excellent coverage, superior hide and a durable finish. Unmatched in performance, its rich, thick, creamy texture ensures smooth brushability for exceptional blending, highlighting and shading, and unmatched versatility for strokework, stenciling and other design techniques.